Pay Personal Property Taxes Online enables online payments for personal property tax bills received from Middlesex County. On the Pay Personal Property Taxes Online Screen, press the button containing your preferred method for finding tax information: Access by PIN, Access by Department Number & Ticket Number, or Access by Account Number. Pay Using Department Number & Ticket Number - Enter the Last Name, Department Number and Ticket Number. Verify the information is correct, then press the Search button. Pay Using PIN - Enter PIN and Last Name and then press the Search button. Pay Using Account Number - Enter Last Name and Account Number and then press the Search button. No Tax Record Found Message - This message indicates a problem with the ticket information. Verify the information was entered correctly. If not, click the Back button on your web browser, or click the Personal Property Tax link on the left side of the screen and reenter your ticket data. 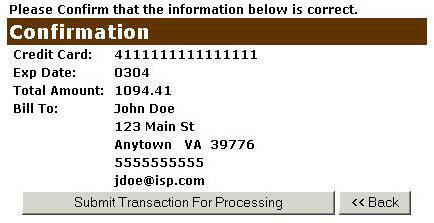 Online Payment Checkout Screen - The Total Payments field displays the elected payment amount for the attached bills. All tickets can be removed by pressing the Clear Shopping Cart button. To pay by electronic check, press Pay by e-Check button. For credit card payments, press Pay by Credit Card button. This screen announces if the transaction was approved.